Vitreous china. 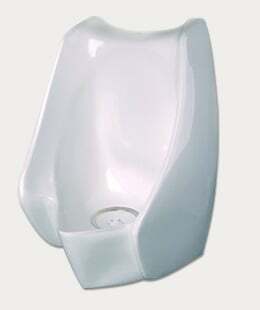 No-Water Wall Hung Urinal with integral housing and drain insert. Rough-In: For 24" lip height, drain center line must be 16" from floor.